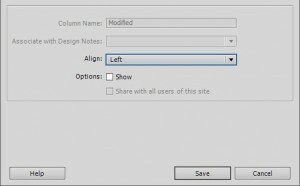 Want to hide certain Dreamweaver CS4 / CS5 file view columns? For example the columns ‘local files’, ‘size’, ‘type’, ‘modified’ and ‘checked out by’? I couldn’t find anything on the net about this so thought I’d stick a blog post up. The ability to do this is hidden away, not in the preferences and may not be immediately obvious. Check the box ‘Show’ to Hide/Hide a specific column. 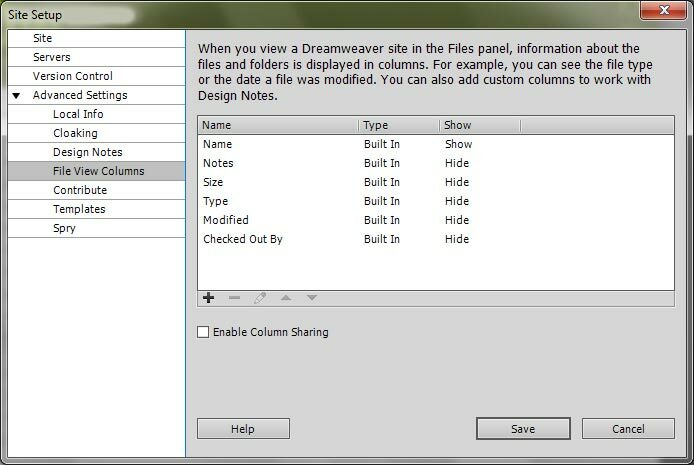 That should be it, you can now hide/show specific columns that you wish to see in the Files window of Adobe Dreamweaver CS4 or CS5. Remember to do this for each Site. Posted in Development and Design, Websites. Tagged with Adobe, Dreamweaver.